It would be easy to brush aside the frequently asked questions (FAQs) page as a relic from the early years of the Internet, right next to dial-up modems and unsolicited free-trial discs. It would also be a big mistake. 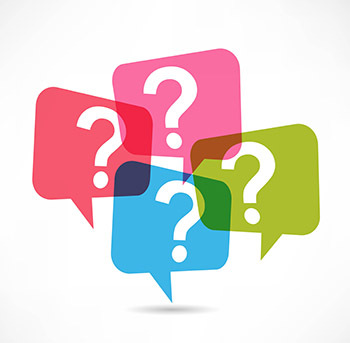 Used correctly, a FAQ can still offer tremendous value to you and your customers, even in this era of social media and constant connectivity. The FAQ concept still works because it’s based on a simple, timeless fact – your customers will have questions, and some questions will be asked more frequently than others. By adding a FAQ to your website, you provide a centralized place for customers to turn when they have inquiries about your business. It’s a resource that builds goodwill with customers, improves the efficiency of your customer service, and can even give a boost to your site’s search ranking. So it’s time to dig in with a deeper look at the value of FAQs, and how you can build a great one for your website. Why Does My Site Need a FAQ? Your FAQ is the perfect place to get out in front of customer service issues, and position your site as a trusted resource. That the FAQ format has been around so long that it actually works to its advantage. Even novice web users are generally familiar with the format, and have an easier time locating answers in a FAQ than through social media or internal site searches. Use your FAQ to link to the other valuable content you create. You don’t want to link just for the sake of it, but providing relevant links gets more eyes on your content while providing extra resources that your site visitors will appreciate. FAQs are easy to scan, and most people prefer to read digital content by scanning. The question-and-answer format makes it easy for users to find what they’re looking for, without wading through post tags or years-old archives. Your FAQ can also improve your SEO. The key is to pose questions and answers in the same language your customers are likely to use. Picking the right phrases, in concert with providing valuable answers, will build your search ranking organically. A well-designed FAQ also benefits your customer service staff by allowing customers to answer their own basic questions. Even if a customer can’t find the answer they need in your FAQ, they’ll likely still be better equipped to address the issue with your service staff after reading through it. There’s nothing wrong with making your FAQ visually pleasing, but organization is where the real value lies. If you want to organize your FAQ effectively, you need to step into the shoes of your customer. Consider the logical progression of how one question about your business leads to another, and use that information to shape the organization of your FAQ. Word choice is important, especially for the questions. Too much jargon or high-level information can quickly render a question and answer irrelevant, if your customers wouldn’t use the same language when searching for an answer. Group questions by topic, and provide a list of questions that functions as a table of contents at the start of your FAQ. Get your website designer to employ anchors or toggles. That way, customers don’t have to waste any time looking for the questions and answers they seek. It never hurts to ask existing customers and employees for input. There’s no better way to find out which questions are frequently asked than consulting the people who ask and answer those questions on a daily basis. If your FAQ features multimedia or especially long answers, consider creating a central question page with easily recognizable links to answers on separate pages. Otherwise, keeping your FAQ on one page is fine, as long as that page is organized. Your FAQ should not be static. Customers may come up with new questions, or you may find better ways to answer than you have in the past. As your business and customer base evolve, it’s important to update your FAQ to reflect those changes. Any investment of time involved in keeping your FAQ up to date will be minor compared to the time-saving and value-adding benefits that your FAQ provides. Give your web presence a boost with just the FAQs. Learn how Emphasize Design delivers the best website design services in Calgary. Amazing content and it was very helpful and very well explained. it was of great help thank you.